Sedevacantism is the position, held by a minority of traditionalist Catholics, that the present occupant of the Holy See is not truly pope and that, for lack of a valid pope, the see has been vacant since the death of Pope Pius XII in 1958. Sedevacantists believe that there is at present a vacancy of the Holy See that began with John XXIII (1958–63) or at latest with Paul VI (1963–78), who, they say, espoused the heresy of modernism and otherwise denied solemnly defined Catholic dogmas and so became heretics. The term "sedevacantism" is derived from the Latin phrase sede vacante, which literally means "with the chair [of St. Peter] vacant". The phrase is commonly used to refer specifically to a vacancy of the Holy See from the death or resignation of a pope to the election of his successor. "Sedevacantism" as a term in English appears to date from the 1980s, though the movement itself is older. Wikipedia got it almost right but should have left out the [of St Peter] in the second paragraph. 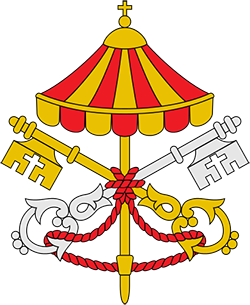 “Sede Vacante” is indeed derived from Latin and literally means “with the chair vacant” and is NOT ONLY used to define the state of the Chair of St Peter! Has the MHFM always believed in and supported Sedevacantism? One thing is certain … The Founder of the MHFM, Joseph Natale, never abandoned the traditional aspects of the Roman Catholic Church. He was NOT a Sedevacantist, no matter what impression the Dimond brothers have tried to lead you into believing. Joseph had no desire to impugn his Benedictine monastery by denying the validity and importance of the Holy See but rested adamant that the Church had severely erred in its flagrant abandonment of the traditional liturgy of the Mass and by embracing other modernist ideology at Vatican II; an error which he was seeking to “sound the alarm” over and work to correct. He fully subscribed to and taught similar traditional non-sedevacantist beliefs openly professed by Father Nicholas Gruner (1942–2015), Father John O'Connor (1926-2006) and Father James Wathen (1932-2006), to name three well known traditional Catholic priests of that time, who he invited on several occasions to visit and speak at his Berlin, NJ, monastery in the early 1990s. Absolutely Not! The 1996 video of the Bro Michael Dimond speaking in the capacity of the Superior of the MHFM says it all. "The wide spread notion that anyone who incurs ipso-facto excommunication is thereby out of the Church, no longer a member, and therefore loses all ecclesiastical offices, dignities, etcetera … is based on a fundamental misconception. “Once a Catholic always a Catholic” is a valid principle. A valid excommunication does not mean that the Church excludes the person altogether; but the person may not participate in the life of the Church (that is receive any of the Sacraments of the ??? or participate in the liturgical ceremonies or take part in Church functions, etcetera)." Robert "Peter" Dimond Attempts to Justify the MHFM's Radical Shift Into Sedevacantism? Was Michael Dimond Always A Sedevacantist? The MHFM, or should I say Fred’s younger brother Robert “Peter” Dimond, made a YouTube video putting a clever “spin” on the reason why his brother had this change of heart and position concerning sedevacatism. It is amazing how “Bob” defends his brother’s radical ecclesiastical break from Joseph Natale’s position (the founding Father / Superior of the monastery) on the subject. I would like to suggest that you first listen to the YouTube video (on the right) before reading further. Did you listen to the video? Can you believe the audacity of these 2 brothers taking us all for fools and lying directly to our faces (i.e. actually out ears)? Let’s take a look at this in more detail. On an MHFM website page entitled “Amazing: The “Final Judgment” Ending Our “Benedictine Fraud” Lawsuit Was Issued On The Feast Of St. Benedict – March 21, 2014!” you can read for yourself what Frederick "Michael" Dimond had to say about their founder, Joseph Natale’s vision / prophecy that got all of this started. When I entered the monastery in 1992, the superior was Bro. Joseph Natale. He passed away in 1995. He was known to have certain miraculous spiritual gifts. I witnessed them myself on many occasions. It’s also a fact that many years ago Bro. Joseph said he was told by God that our monastery would be “the only beacon light of Catholicism left before the end of the world” and “the forerunner of Christ’s Second Coming". He also said we would be the last Catholic religious order in the world. It’s simply a fact that he made these predictions. I heard them myself and he told many others decades ago. But we have never produced any books, DVDs, etc. for the reason that we think such works would fulfill predictions made by Bro. Joseph. As anyone who follows our material knows, our actions or teachings are not based on any sign or prophecy. They are based firmly on Catholic teaching and the laws of God. That’s why they are irrefutable. Our information in that regard speaks for itself. Nevertheless, in addition to the facts of Catholic teaching, God will sometimes give signs and/or prophecies to confirm the truthfulness or goodness of something. So I truly hope you have understood the obvious? The spin that the Dimond brothers expect us to embrace and hold as true, after listening to the video and then reading the text above, is that Joseph Natale (now being described as a Prophet) spoke with God but God forgot to mention the importance of incorporating a “true” sedevacantist position within the monastery's initial belief-system / work plan? I guess we're supposed to believe that “detail” simply slipped God's mind and was left for “Fred” to figure out after Joseph Natale’s death? Are you kidding me? Ask yourself ... does God make mistakes? No! Ask yourself ... is the Devil the father of all lies? Yes. Ask yourself ... who are the Dimond brothers actually following? Are they selling a "profitable" mixture of both concepts (heaven and hell)? Yes and they've been quite successful at it. These "men" are brilliant carpetbaggers. These "men" use the "skill of deciet" masterfully. But the "package" surrounding their so-called misistry is actually little more than an "Enchanting Lustful Lie". In the video "Bob" Dimond tries to excuse his brother's switch to sedevacantism due to the fact that "Fred" was young at the time and in a learning phase. What? Did I hear that correctly. Tell me what is the role of a "Superior"? Is "Bob" telling us that the role of Superior for the MHFM was entrusted to a "man" without any credentials, qualifications, forrmation and experience to competently be in that position? "Fred", as Superior, was supposed to be "believed to hold the place of Christ in the monastery"! So is "Bob" confessing to us that Christ's representive at the MHFM, at the time, didn't know what he was doing? Is "Bob" telling us that "Fred" wasn't in tune with the Holy Spirit? Whether that was his intention or not that is exactly the message that comes across to anyone with an IQ higher than number of ounces found in a full can of beer. "Bob" is also inferring that "Fred" never did believe in or understand Joseph Natale's "vision", never did believe that Joseph Natale was a "Prophet" who had spoken with God and he never ever intended to carry on the work entrusted to his mentor Joseph Natale. "Fred" simply siezed a "golden" opportunity and has been cashing in on it ever since. “Bob” goes on to say that “it’s a logical progression for people to go from a non-sedevacantist position to a sedevacantist position”. But, did he forget that “Fred” wasn’t at the time just “people”. No … "Fred" already held the position of “Superior” at the MHFM. He wasn’t a mere “lay brother” that would excuse his change in position. “Bob” is just trying to use the “skill of deceit”, yet once again, to deflect the gravity of the situation. Don't be fooled ... don't let them run this con down on you. Think for yourselves. Pray about it. There is no doubt in my mind that the Dimond brothers are running a "business of religion" and not a true ministry for Christ. Sure, that's my opinion and if you've been surfing the net you will see that I'm not alone in feeling this way. Claiming to be true “Sedevacatists” is a very convenient way of rebelling openly against those who would otherwise have moral authority over them. There are no Bishops to report to, no supervision, no authority at all on Earth to be held accountable to except, of course, the Internal Revenue Service should they unexpectantly question their “tax free / non-profit” status and decide it’s time for an audit. Sedevacantism is still a flourishing market on the internet. I highly suspect the Dimond brothers would change views again if sales went down to a critically low level. Is the "Chair of the Superior" at the MHFM Vacant (sede vacante)? Absolutely, without a doubt! In fact ... depending on how one views Joseph Natale's claims ... it may have never been filled.